You browse through a page in which you select one link after the other. The browser marks links per default blue and already frequented links violetly. With the WebAssistant you also mark links to pages in the cache archive. You find your surf tour again easily particularly at offline surfing so. 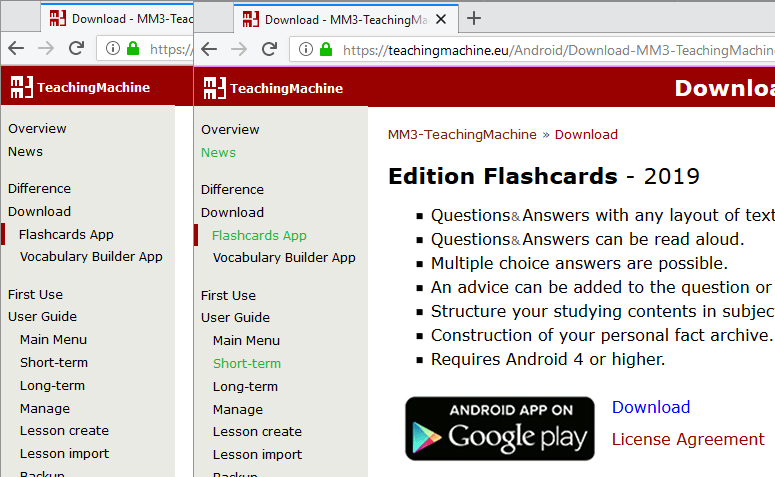 Activate the two modes to use the marking in 3 offline and 4 online mode. 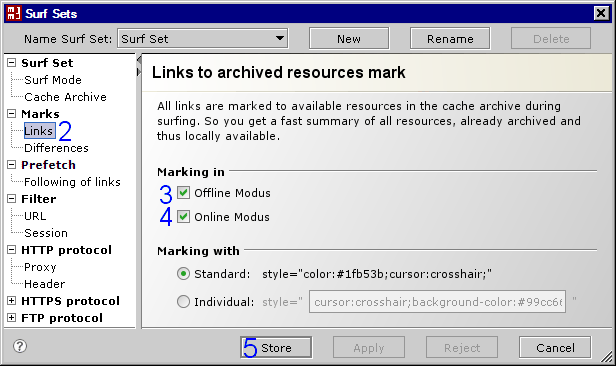 Resources saved in the cache archive are then highlighted by a green marking. In the offline mode you know thus exactly on which links you can click. In the online mode you see which pages are already archived or which pages are still missing.